COTE BRASSERIE VALENTINES DAY MENU - Sugar, Darling? Valentines Day - some love and some hate it. 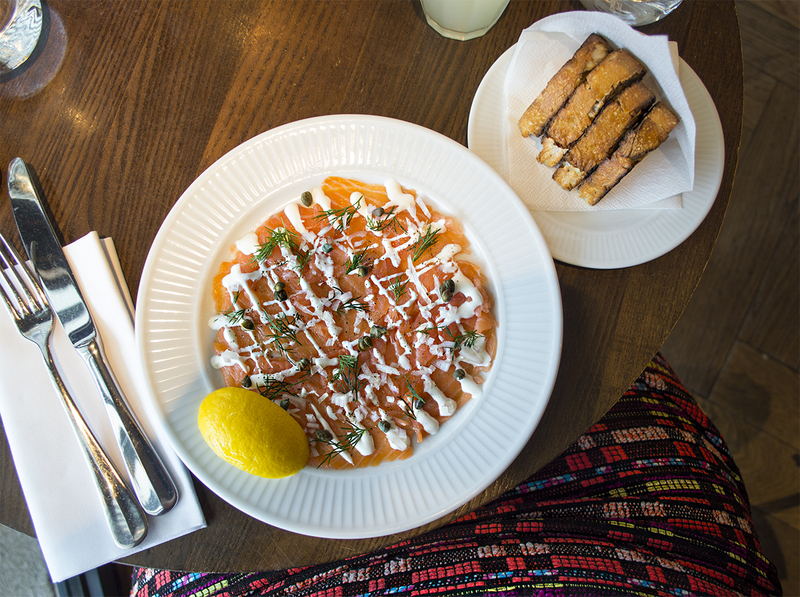 If you're of the latter opinion then why not consider it an excuse for a delicious meal? Even if you don't have a special someone why not, I'm a big believer that loving your own company is a blessing and solo adventures and meals one of life's real treats. I confess I'm not really bothered by Valentines Day at all and my husband and I don't really celebrate it, but I love love and I'm happy to celebrate it any time of the year. This year Pete and I celebrated it a little early thanks to the lovely people at Côte Brasserie and the team at our local West Bridgford restaurant. 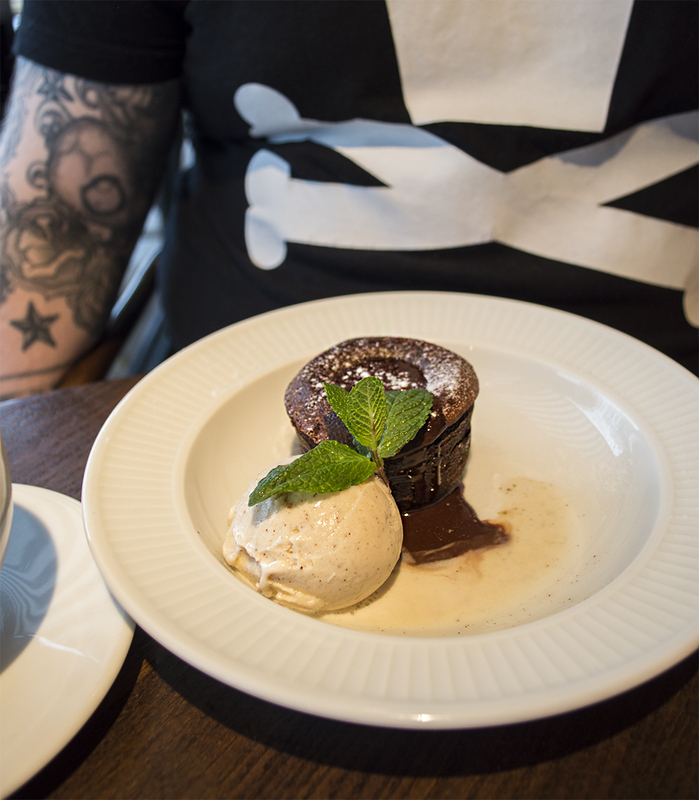 We were very kindly asked to go along and try out their 2018 St Valentin menu so we could give you the heads up with enough time for you to book a table yourself if you so wish! The St Valentine menu includes three lovely courses and for an extra £10 you can add wine pairing for the starter and main plus a classic Kir Royale. Pete went for the wine pairing and as I was driving I just went for a nice traditional French cloudy lemonade and a few sips of his Kir Royale. 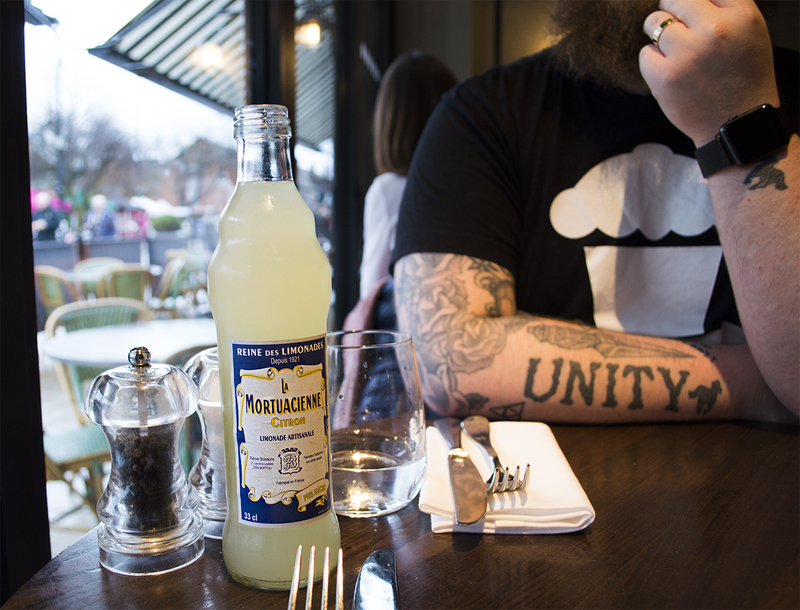 I really like La Mortaucienne sodas - occasionally you can find them in sweet little cafes and occasionally you can swag some of the big sharing size bottles in TK Maxx but I've only ever seen them in a restaurant at Côte. 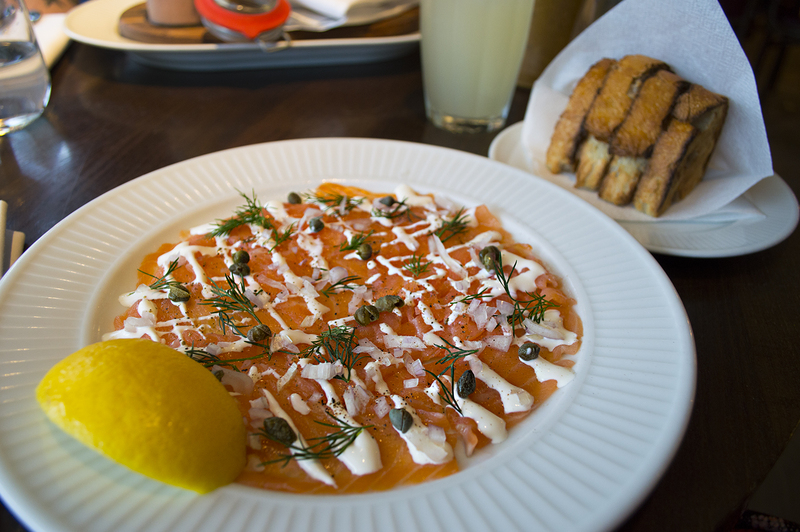 I'm a bit of a seafood fiend so its no surprise that for my starter I went for the smoked salmon with dill, finely diced shallot and baby capers drizzled with a light crème fraîche dressing and toasted sourdough on the side. This type of dish is one of my favourites kinds of light lunch - simple and fresh with flavours that seem to alchemically combine into the perfect rich yet light, salty and creamy, zesty and smokey bite. Doesn't it also look as pretty as a picture? 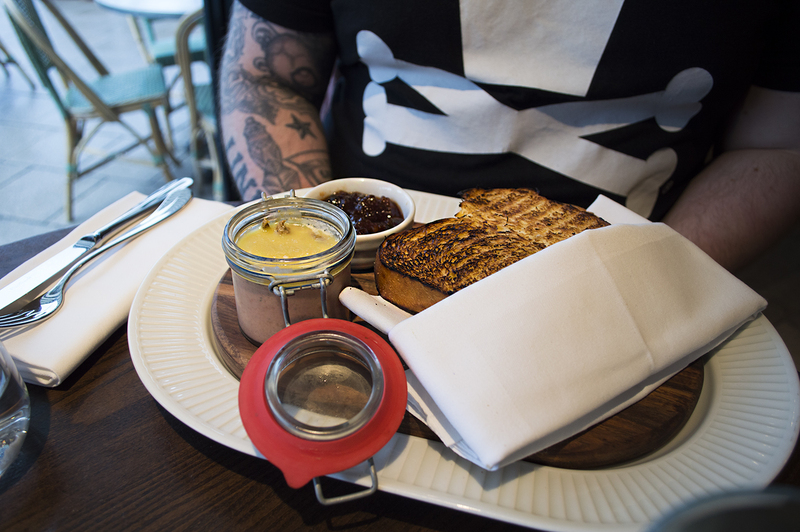 Pete chose the chicken liver parfait with toasted brioche and spiced apple chutney that was again rich yet light - a perfect starter. I've never thought of teaming soft decadent brioche with pâté before but it worked wonderfully, especially with the sweet sour savoury tang of the chutney to offset the other big flavours. This dish was paired with a glass of La Bonne Dame Fleurie 2015, a red from the Beaujolais region that's light and full of the flavour of fresh berries - a perfect compliment to the dish. 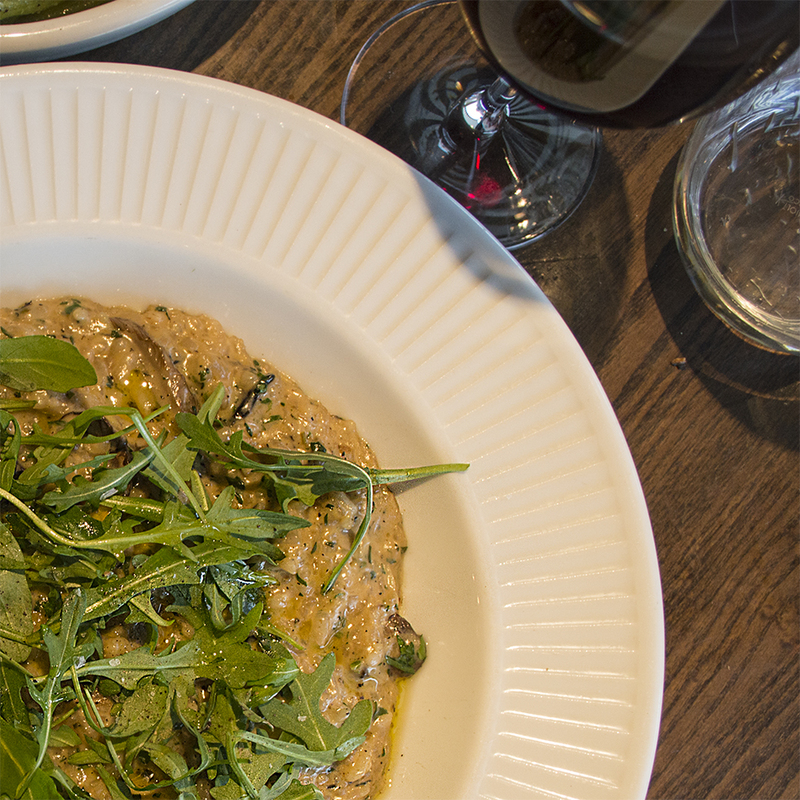 For our main dishes Pete chose the seasonal wild mushroom risotto with cep cream and truffle oil topped with fresh rocket and black pepper. Boy oh boy was this a good choice - the rice was perfectly al dente and just perfectly unctuous and creamy. It was choc full of different wild muchrooms and herbs and the truffle oil made it even more decadent with the rocket offering a lovely peppery green contrast. 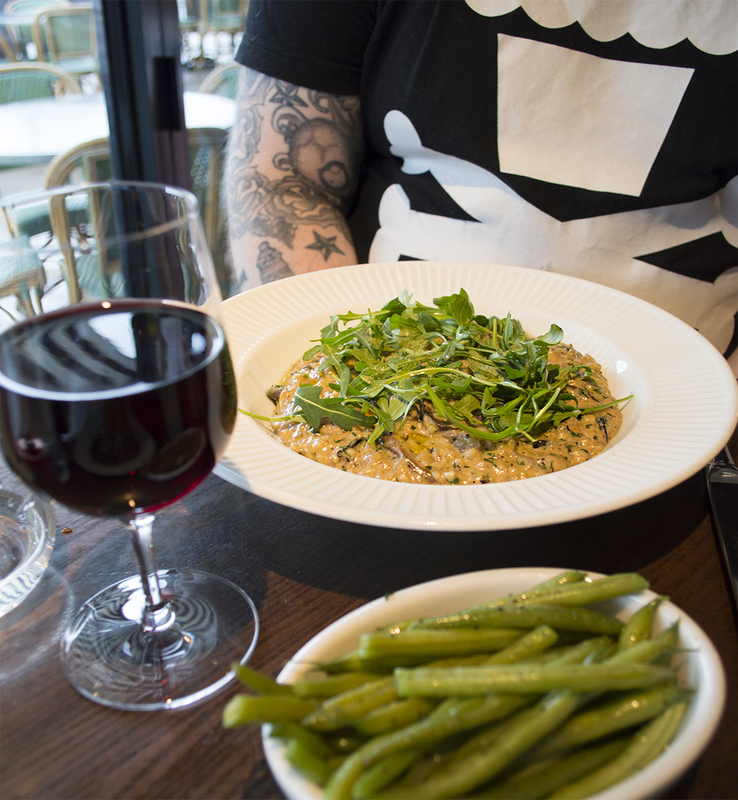 The risotto was served with a glass of Vin De Pays D’Oc Escale Pinot Noir 2016, another light yet very fruity wine that was a little more herbal and aromatic that teamed magically with the seasonings in the risotto. I went for the roasted duck breast with a griottine cherry sauce, served with gratin potato and rocket. 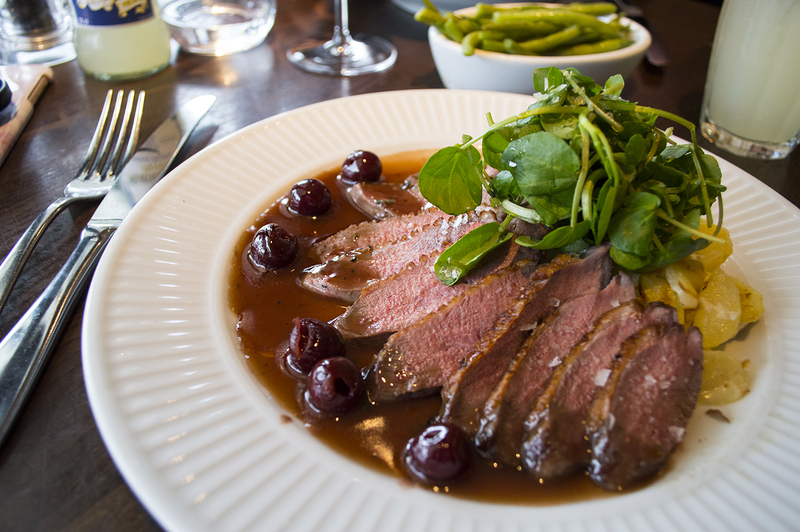 I don't eat duck often but today I really felt like it, especially in a sauce made from cherries steeped in kirsch. I love when a roasted meat is sliced thinly and this was the perfect example, blush pink in the middle as duck should be and with a tiny crisp layer of fat on top. Sprinkled with sea salt flakes with a good slick of sauce, cherry and rocket it was another masterful combination or rich savoury, salt, sweetness and fresh pepperiness. The gratin potatoes were tender and creamy and served alongside we had some french beans dressed with seasoned butter. I honestly can't remember having such a tasty main for a long long time! I am a crème brûlée connoisseur. I mean is there anything better than a sinfully creamy set custard topped with a hard shell of caramelised sugar? OK maybe there is, but not many puddings get close. 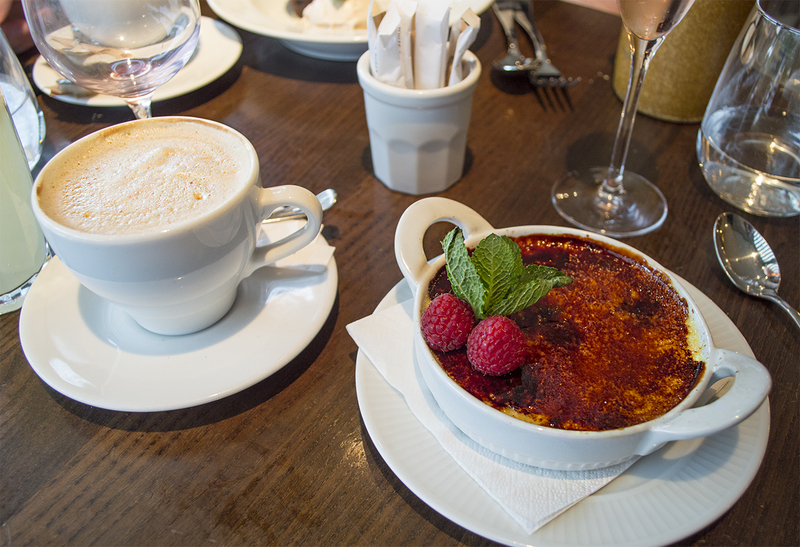 This white chocolate crème brûlée enriched with vanilla beans and dotted with fresh raspberries is a very special version of this classic and definitely takes the cake as one of my favourites of all time. Alongside a good coffee and a few sips of Kir Royale believe me, this was a real treat. 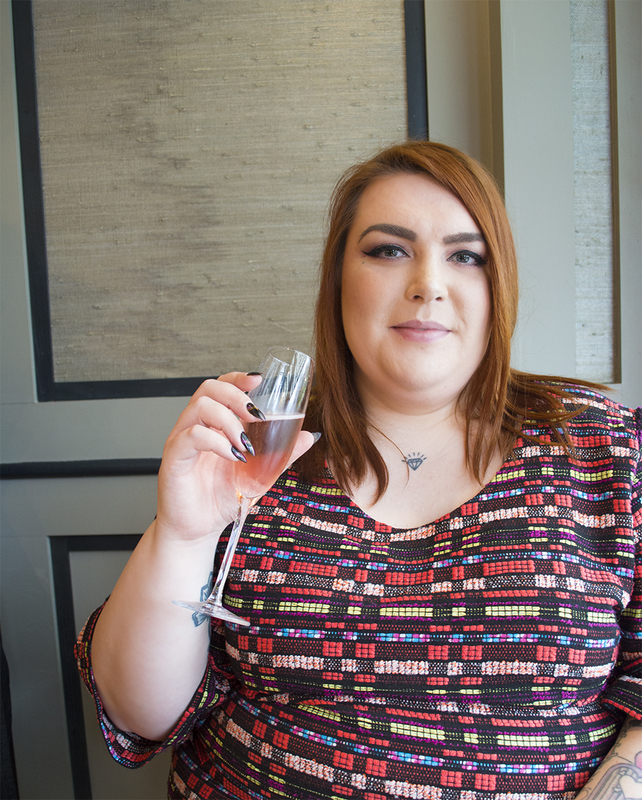 I have to say you'd be very hard pushed to find a nicer Valentines dinner menu and I've always thought a French brasserie setting is oh so romantic, especially when its a little more high end like at Côte. 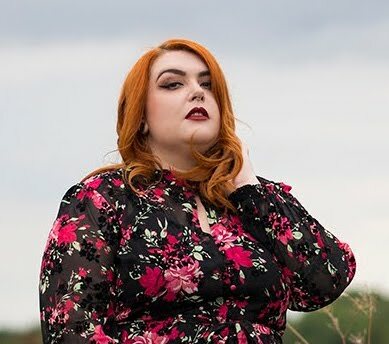 There are lots of Côte locations across England, Wales and Scotland so the chances are you have one within a reasonable driving distance especially if you live in the South East or London. You can click here to book your table online if you so wish - I'd love to hear what you think if you spend V Day there this year! *This meal was free of charge in exchange for my review, but all of the above is my own opinion and 100% honest.